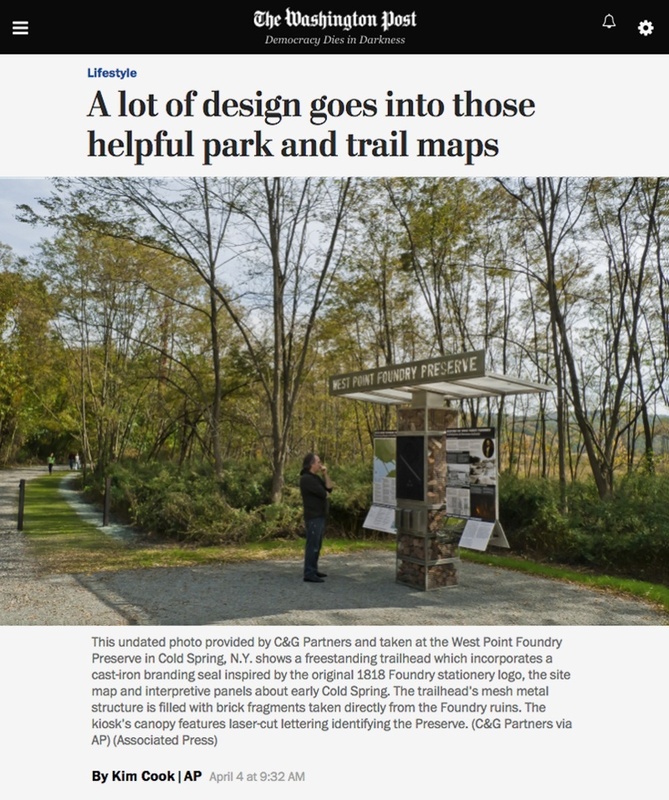 This week, the Washington Post led with C&G's West Point Foundry Preserve interpretive landscape program in the article "A Lot of Design Goes into Those Helpful Park and Trail Maps." Written by Kim Cook, the article surveys a range of successful outdoor signage projects designed to seamlessly integrate with their natural surroundings. The article has also been picked up by ABC News, Daily Herald, and others. “When you build and refresh a place with an extraordinary history, the task is remarkably easy if you’re willing to respond to the information that lies in front of you,” says Partner Keith Helmetag about this landmark project we did for our client, Scenic Hudson.